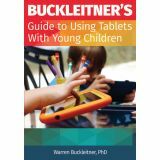 Children's technology guru Warren Buckleitner offers educators and families his expert advice in this valuable guide to making smart choices about technology and young children. 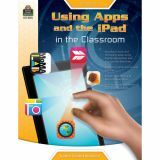 Buckleitner's Guide to Using Tablets with Young Children simplifies the shopping process, describes which apps are age appropriate, clarifies how to find educational apps on particular subjects, such as cars, geography, and music, and illustrates how the technology can be used in classroom settings. Whether at home, in care environments, or at school, using digital tablets with interactive apps can open children's minds to their own capabilities and worlds of fun! 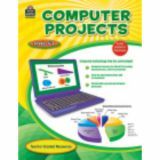 Twenty teacher-tested lessons are presented with step-by-step instructions for presentation in 45-minute computer lab sessions. 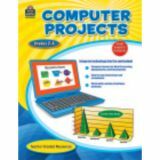 The lessons cover word processing, spreadsheets, and presentations. Although the lessons cover specific subject matter, teachers can modify them easily to fit their own curriculum needs. 96 pages. 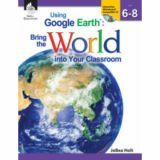 Great for both the beginning and seasoned Google-using teacher, this resource is the perfect tool to help guide teachers using, or preparing to use, Google Apps for Education™. Featuring Appetizer Recipes (warm-ups), Entrée Recipes (fresh take on an old standby lesson), Side Dish Recipes (used at any point in lesson or unit), and Dessert Recipes (creative lessons to enjoy with your classroom), this resource will help you feel comfortable using Google Apps™ in no time. 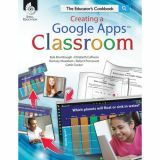 Includes helpful icons, easy-to-follow instructions, screen shots, and websites. 128 pages. 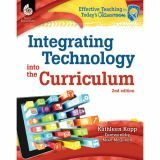 Create effective technology-enhanced lessons using the step-by-step directions provided in this unique resource. Each app description is labeled with handy tags, such as classroom context and other information, to help you choose the right app to meet your specific curriculum needs. 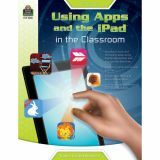 Lesson ideas for both stock apps (apps already available on your device) and third-party apps (apps you can download) are provided. 96 pages. 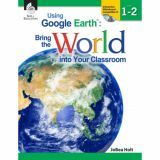 This teacher-friendly series provides step-by-step instructions, lessons, and activities that integrate Google Earth™ technology across the content areas for authentic 21st century learning. 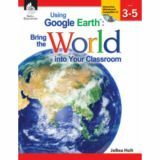 Teacher resource CD includes a how-to-guide, easy-to-follow directions, student activity pages, and literature links to make getting started easy. 256 pages + CD.